I'd like to welcome our new blogger, Nicolette Pierce, who will make her debut on April 13th. I consider that our lucky day! 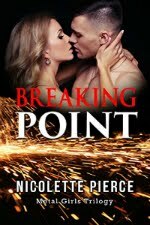 Nicolette writes romantic suspense with a dose of humor. 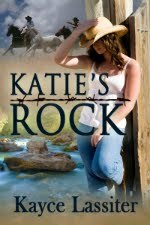 Following is an outstanding review of the first novel in her Nadia Wolf series. This is a story for everyone in need of a lot of humor, witty comments and descriptions, and a delightful and suspenseful story! Nadia Wolf is like any young lady who knows what she’s good at and takes a gamble to make a living. Nadia lives above a marriage chapel in the revered gambling city of Las Vegas. She is a poker player by day and helps a dear friend and soon to be manager, Frankie, at his chapel. I can’t forget to mention Gus, the on-a-diet-cat, which may be a tad grouchy but loving all the same. Nadia, a beautiful and clumsy woman all in one, takes her poker seriously. She has a couple eligible bachelors interested, both rich, both handsome, and both want her for more than a turn of the cards. Her problem is she’s attracted to both, yet doesn’t want to mix poker with relationships. Instead a deadly game with another player (poker player I mean) wants to put her underground. She needs help from more than one bachelor and a touch of flirting doesn’t hurt. The Nadia Wolf series is right up there with the Stephanie Plum series full of quirks, giggles, and a few serious mishaps. I have hope for Nadia’s well-being and her eventual capture of that special man. I haven’t finished the series yet, but I certainly hope she’s happy at the end and encourage you to find out, too!